Old Town West Improvements, City of Thousand Oaks - Flowers & Associates, Inc. 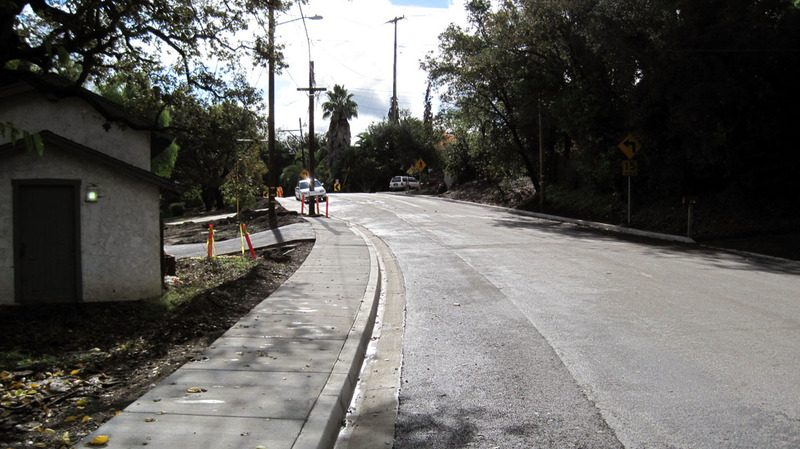 The Old Town West project was comprised of the design of street improvements for Los Robles Road between Live Oak Street and Fairview Road, and Fairview Road between Crescent Way and Royal Oaks. 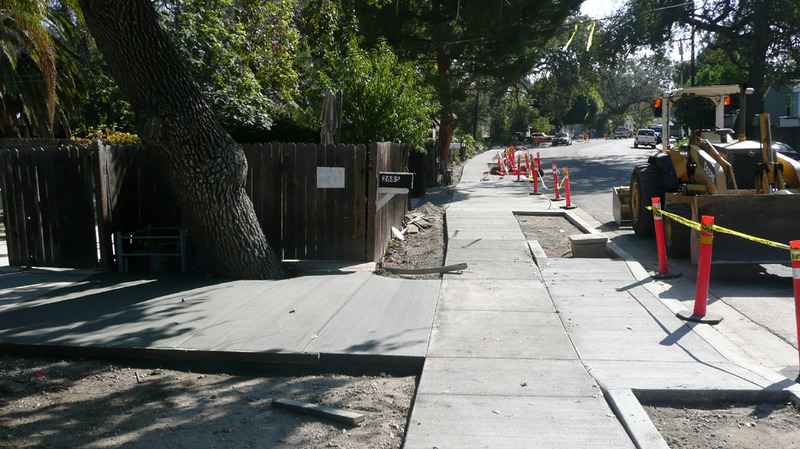 Due to existing geometrics and to meeting the goal of a continuous ADA compliant walkway, it was decided to extend the design of street improvements down Royal Oaks Drive. The neighborhood was very rural with minimal curb, gutter and sidewalk improvements and virtually no street lighting with substantial encroachment of property owner into the Public right-of-way. The Project was designed in two Phases, Phase 1 being Preliminary Design and Phase 2 being final Design. Phase 1 included topographic survey of the Project, identification of utility issues and conflicts, identification of existing R.O.W. conflicts and several alternatives for the City to select from as well as associated Opinions of Estimated Construction Costs. Once an alternative was selected to meet the desired construction budget final design was performed that included but was not limited to curb, gutter, sidewalk, driveways and associated aprons, utility relocation (SCE), gas and water service relocation, road re-profiling, street light improvements, storm drain improvements and substantial rights-of-way entry. Numerous offsite and driveway conforms were incorporated into the Project with great success. The Project was completed in late 2012. This Project impacted numerous single family residences and some apartments. Coordination was extensive as well as community input on the Project.